A year and a half after release The Surge is getting a second DLC. The last one, A Walk in the Park, released at the end of last year and offered a location drastically different from any in the base game whilst offering new armour, weapons and story. The Good, The Bad And The Augmented takes a different approach. The DLC can be accessed from each major area in game. If you’re starting a new game you will be able to do limited amounts before moving on with the main game’s progression, whilst in New Game+ onwards you can simply play through the whole thing at once. You arrive in a large room with a ‘Peril Chamber’ in the middle. You hear a voice over a PA system with a southern twang who introduces himself as The Supervisor. He states that with everything happening outside a new marshal is required and so he’s going to put you through some tests. He continues to talk to you throughout the DLC and is both repetitious and annoying. When you enter the Peril Chamber you are greeted with what is basically a level select. There are nine in total and you unlock the next as you complete levels. You can also apply modifiers which will make things harder but increase the scrap you acquire and the chances of finding better equipment. Invisible enemies, a silent film filter, disabling your healing abilities in favour of finding med packs or being forced to use the weapon of the last enemy you killed are just a few examples. Upon entering the level you’ll find it’s made up of two stages and a final boss stage. Everything is Wild West themed, though it feels very much like a set with evidence of the the metal framework underlying all the environments. You work your way through the level, more often than not being forced to kill all the enemies before proceeding. 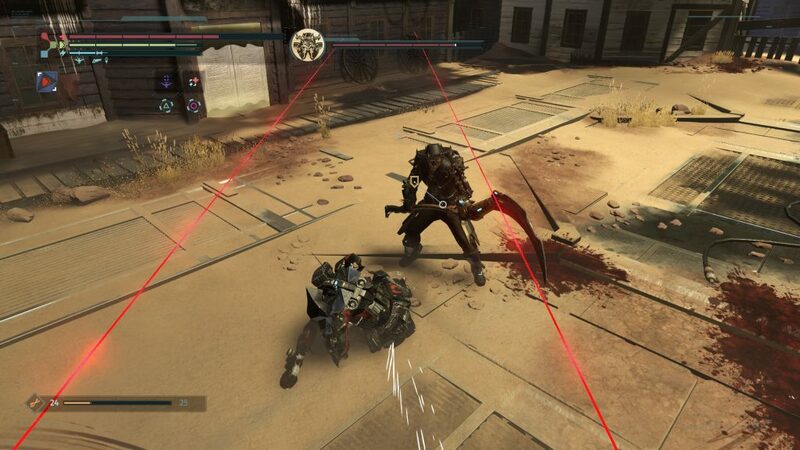 There’s nothing new here enemy-wise, but you will find new weapons and armour to collect in the usual way. There are some original implants too including hybrids that combine effects but are expensive to equip. Once you’ve got through the two stages you’ll be given the option to leave and bank all your loot or move onto the boss. Die at any stage and you’ll lose everything you’ve collected, unless you’ve found some Lucky Coins which will grant you another shot at the boss. The thing is, despite there being nine levels, the little sections that make up each level are very limited. There are about five altogether, so you start getting repeats in the third level. As you progress they just populate them with harder enemies, the environments are the same. Similarly the boss is always in the same arena and it’s always a human. There are a few different varieties of hazard that can populate the boss arena, from lasers to clones that you can’t attack but are inactive until the boss signals for them to move, but again you’ll quickly see them all. It’s a shame as some of the scenarios are interesting. The first time. 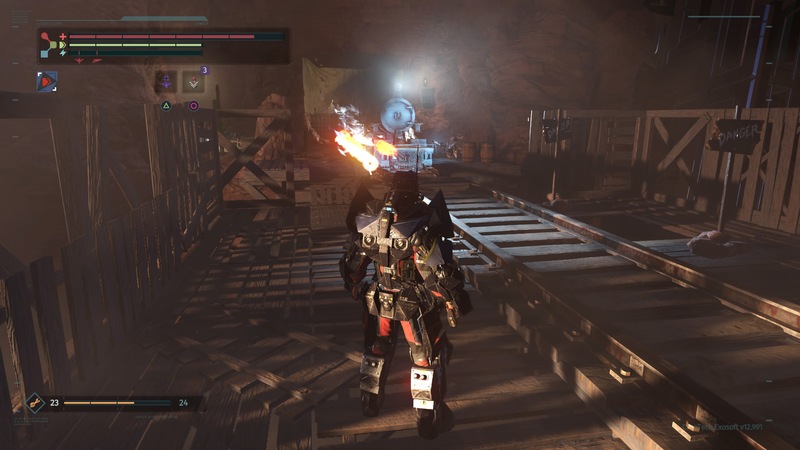 One requires you to stand on a pressure plate for a door to slowly open whilst enemies attack you and another has you dodging sunlit areas or you burn and take damage. Once you’ve completed a level you open up the ability to take shortcuts if you prefer, so the developers seemed to realise that you’d get sick of it pretty quick. 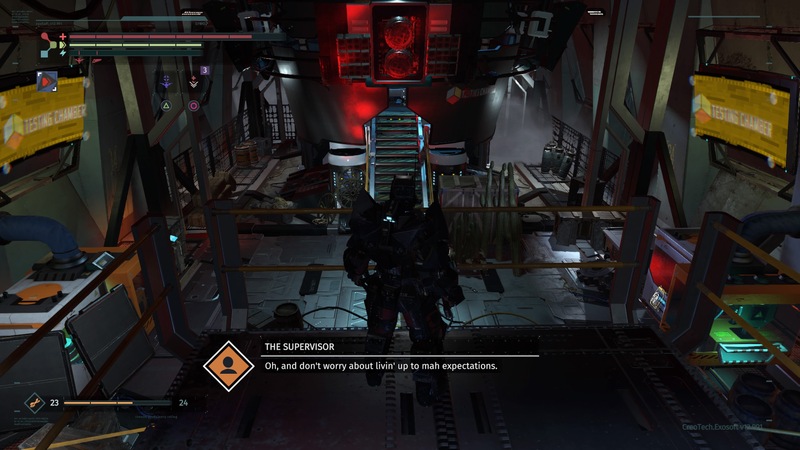 Assuming you’ve not played The Surge for a while you’ll probably need to warm up a bit but when you do you’ll get through most of the stages without too much trouble, there’s nothing in here more difficult than in the main game, though some of the stages are tough later on, much harder than the actual bosses that punctuate them. The game wants you to replay the levels over and over, with modifiers active, in order to collect all the weapons, armour, vanity items and trophies as the bosses at the end have random equipment to collect too. It does offer a farmable spot for the rare Nano Core upgrade though for people wanting to max out their equipment. The Good, The Bad And The Augmented is a tough sell for people who have probably moved on from The Surge a long while ago. A Walk in the Park was a fun return to the game that offered a new location with some backstory for Warren whereas The Good, The Bad And The Augmented offers some brief new areas and more repetition than is in the base game. If the draw of some new armour and weapons is enough for you then maybe you’ll be brought back but I played through both this and the last DLC with the same powered up weapon and armour I platinumed the base game with. There is some cowboy themed gear for ‘FashionSurge’, which I didn’t realise was a thing, and if you you are only just starting the game then this portion will be worth dipping in and out of. 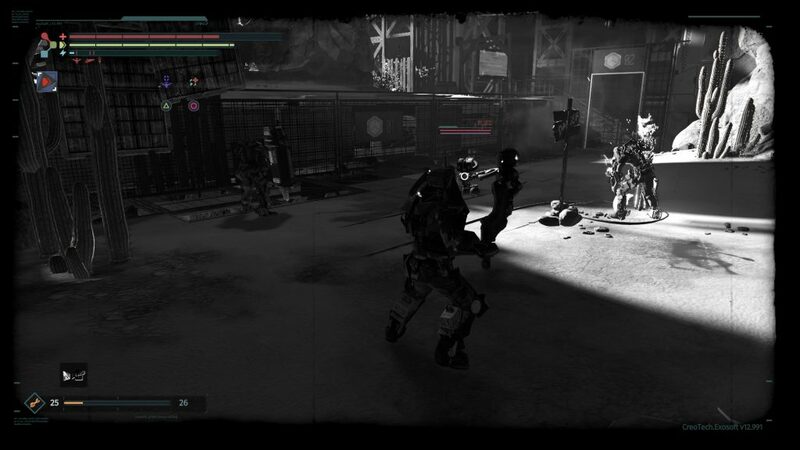 However as someone coming back to the game eighteen months after release I have to say, if A Walk in the Park made me look back on The Surge fondly, then The Good, The Bad And The Augmented reminded me of the less appealing aspects of the base game. Gareth's our go to guy for anything difficult to review. And all the weird Japanese stuff that we can't figure out.